Oregon has long been a strong regional center of life science activity. 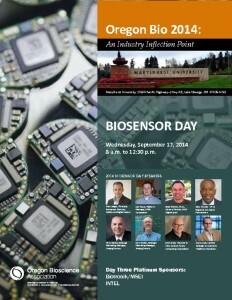 The momentum and international attention of the $1 Billion OHSU Knight Cancer Challenge has created a “transformative moment” that will dramatically impact bioscience in the state – potentially enhancing commercialization opportunities, increasing resources available for research activity and elevating the visibility of all stakeholders working to solidify Oregon’s growing reputation as a hub for advanced medical research and commercialization. 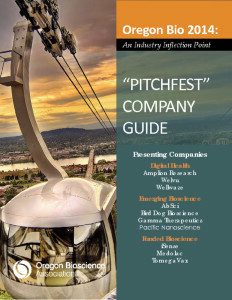 Oregon Bio 2014 showcases the efforts of entrepreneurs and researchers responding to this opportunity in ways that reveal a growing statewide capacity and competency that is often invisible to those outside the industry. Conference speakers will profile academic, policy and industry driven initiatives that have successfully supported innovation and job creation. 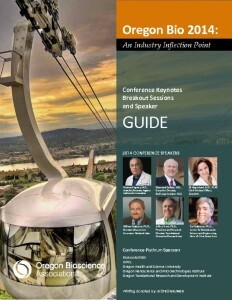 Oregon Bio 2014 celebrates the recent achievements throughout our state, explores opportunities that inspire life sciences professionals and offers potential solutions to the capital formation and professional/workforce training challenges our industry faces.